Every contribution to Heart Effect and Phoenix Children's Hospital Foundation has a direct impact on our young patients. Donations from caring people like you make it possible for us to offer the very best medical specialists, cutting-edge technology, and family-friendly services without regard to the family's ability to pay. Thank you for investing in our life-saving work! Please use this form to make your secure online donation. 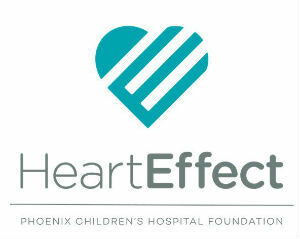 *Gifts to Heart Effect are eligible for the Arizona Charitable Tax Credit. Individuals giving up to $400 or couples giving up to $800 can recieve a dollar-for-dollar tax credit when filing next year.